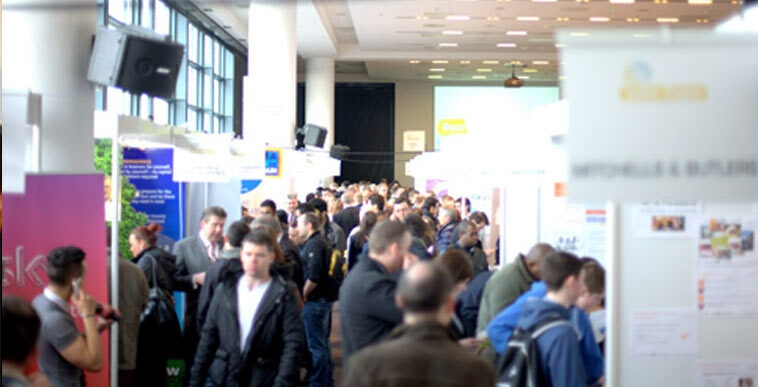 We are pleased to announce our list of exhibitors for Jobs Expo Dublin. Our 2016 exhibitors come from a wide range of industries including healthcare, research and development, education, sales and marketing, business services and construction. Included in our Dublin exhibitors are innovative Irish and global companies. Just some of these include Abbott Ireland, a diverse, healthcare company operating across the world; Concentrix, a leader in high-value business services; the pharmaceutical giant Eurofins Scientific; Sammon Group, a world-class engineering construction company; and Transitions Optical, the global leader in photochromic lenses. There are plenty of opportunities for teachers and educational professionals. Tradewind Recruitment and SANZA Teaching Agency, Celsian Education and Engage Education will all be actively recruiting teachers for a range of carefully selected educational posts in the UK. A number of recruitment firms will be attending and looking for quality candidates. These include sales and marketing specialists BSC Sales Recruitment; Dalmac, the official training and recruitment partner for Ryanair; niche firm Elk Recruitment; and the online job search site Jobs365. Other exhibitors include US immigration lawyer Caro Kinsella; travel firm Go4Less; Innopharma College of Applied Sciences; the Irish Naval Service, and many, many more. The Career Clinic returns to Jobs Expo. We will have a number of professional coaches on hand to give you advice and help set you on the path to success. These include Mary Curran of the Centre for Professional & Personal Development whose clients include the Law Society of Ireland, AIB Bank, Ulster Bank and Accenture. Also attending will be Claire Bain from Next Steps, an experienced career coach and personal development specialist; Joanna Binder, an accredited life and executive coach; Angela Brophy of Ready2Succeed Coaching; Naomi Caball, a creative who is passionate about people and their potential; Michael Heffernan of The Chapter Coach Consultancy; Alan Hill; Maite Lopez of Space2Change; Judy Murphy, an experienced career consultant, executive coach and management development specialist; and Gay White, head of HR at the Institute of Banking. Best of all, the Career Clinic is free for all attendees. We have a wide range of talks from industry professionals at our Seminar Zone. This includes career advice such as CV preparation, building confidence for interviews, personal branding, changing careers, and reaching your goals. Companies such as Concentrix, Nua Healthcare and Sammon Group will talk about opportunities within their organisations. The Irish Association of Holistic Medicine will discuss the future of nutrition; Jim Nolan of the IE Network will explain how to get paid for doing what you love; and immigration lawyer Caro Kinsella will tell you how to get a visa to the US. The Seminar Zone is free of charge but the talks fill up quickly, so be sure to get in on time.